Of all colours, non-colours or all-colours, White certainly best described the environment I found myself in. The brightness from skies above was bouncing off the stone platform below to an almost blinding luminosity. It seemed to light my every hair, wrinkle and shadow, but yet I could still see everything in perfect clarity. The stone platform I was standing on seemed like a vastness of nothing and had a sense of “safe” and “normal”. But something in me was pushing me away from this void of adventure and into the unknown. It urged me to charge towards the edge and jump of this forsaken platform. While it wouldn’t sound like an option I would ever take in normal circumstances, it was clear to me then and it still is clear to me today – I was not in normal circumstances. As they say drastic times call for drastic measures. Well, this measure was a thousand miles up from planet earth – but something had to give. I ran. I jumped. That’s where I pick this story up for the penultimate time. There’s something about falling in a dream that wakes us up. Not really sure why. Sadly this wasn’t a dream. After taking the jump from the strangest platform I’d ever seen – into the unknown. My mind went ahead of me in almost preparing the feeling of falling. I think that’s why when I didn’t fall, I was so confused. Instead of falling, I hit an invisible wall that seemed to finish the edge of the platform. It was surreal. Especially considering you could see, hear and feel the air beyond the wall and yet, could go beyond it. After trying to run up and smash the wall a few times, the desire to get off the platform seemed like less of a driving factor anymore and the resolve that I’d have to go and explore the platform gradually became more of a reality. As I looked into the distance of the cold, stone horizon – there was nothing to be seen. Just miles and miles of stone-looking flooring and clouds above it. Not much of an incentive to start walking. So instead, I kept to the edge of the platform and started to walk along it. The view below was spectacular. It was covered in sunset-colour clouds and every now and again I would catch a glimpse of something even more stunning below. It seemed like cities at night, but they were so distant they looked more like glowing patches of gold. The other thing I noticed was that the sunset never ended. It kept going. After walking what seemed like many miles, the sunset continued but I could not. I had given up hope of finding an edge to this prison. Aside from the glorious view below – there was nothing to keep me going now. There was no corner or end in sight and the question of “why am I even here?” plagued my thought-patterns. My brain went into overdrive as I desperately tried to imagine a way out of this deserted and hostile environment so I could make it back to the labyrinth where the alternate me needed saving. If this really were a dream, then surely I could imagine a hole in the wall. I could imagine a person to help me. I could imagine any solution. But my mind was either elsewhere or completely disorientated and in no state to help. More than likely I was still dizzy from hitting a giant invisible wall twenty-or-so minutes earlier – which would make anyone’s head spin a little (in more ways than one). I let out a disgruntled groan for help and then collapsed on the floor with minor exhaustion and a heavy dose of apathy. My mind started to think my feelings over. It wasn’t exactly my apathy that was causing me to give up – I somehow wish it was. I was getting desperate. I’d do anything to get off this rock. But the same time, I didn’t want to admit that I was getting desperate. There was something about this rock that made me want to keep my cool and give off the appearance that there was nothing wrong. Even though there were no onlookers. I started to lie down so my brain could think without the constant bickering of my limbs and energy-drained body. A noise stopped me from moving. It was the subtle scrape of some sharp objects sporadically rubbing against the stone ground. It was getting louder, coming from behind me. Somehow I knew in an instant that it was footsteps that echoed mine only moments ago. But the noise could only puzzle me for a moment before I looked up and there, before me was a full-grown Lion. The moment we fixed eyes, there was no movement. I had stopped dead in my shifting and somehow he was already where he wanted to be. His thick mane was the only thing moving, with the gentle breeze giving the beasts fur depth and life. After what seemed like a lifetime, he finally took a few steps towards me and I realised the noise was his claws rubbing against the flooring beneath him. There was no question that this was reality. There, before me, stood the most majestic beast I had ever seen. He was real. But yet, there was a calm in him. He didn’t seem vicious and he didn’t seem hungry. As the lion spoke, it took me back to my days of reading Narnia. 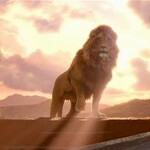 It certainly felt like Aslan, but I didn’t want to infringe on copyright in my dreams. His presence made everything seem alright. He made me feel that no matter what happened – it would be alright. Light seemed to emanate from him. The clouds above him seemed brighter than all the others and the stone beneath him seemed somehow more beautiful than the rest. “Are you ok, Stephen?” He said in his soothing tone. Not sure how best to answer a talking Lion, I just nodded and tried to get up, slowly. I leaned against the edge of the stone platform’s invisible wall to steady myself. Half way up, the wall vanished and I started to fall. In a split second, light burst out from the lion (I can’t even describe how) and grabbed me. He still stood, calm and collected as “his” light pulled me to safety. Once I was back and standing upright, he went on to question my cry for help. At a loss for words I simply gurgled a little. I’m sure a little spit bubble came out. “I already know your story. I know how you got here and I know why you are here. But the question is do you?” The lion calmly summarised. I stupidly raised my eyebrows, as if to say “obviously not” but he stopped me. It wasn’t that I was under a spell or trance, but the beauty of this lion’s eyes and the peace in his voice made me sure he couldn’t lead me to harm, so I followed him. He walked out from the platform and continued to walk on thin air. I didn’t even question it. Perhaps I should have. Either way, I followed him and also walked on the air. It felt like dry land – solid and firm, but you could still feel the breeze beneath the soles of your feet. It was amazing. but before I could process all that was happening, the lion stopped me. Before I’d even looked, I started to speak: “Massive… I couldn’t find the end of…” I stopped. Either the platform was miles away or it had suddenly shrunk. I tentatively walked across the air towards the platform and reached out to pick it up. I touched it, then grasped it. It fit in the palm of my hands. But as I cradled it in my hands, it began to grow again. Bigger and bigger, warping around my hands and locking them in place. I started to panic, but the lion appeared by my side and grabbed it in his mouth. It shattered into millions of pieces. Each piece wasn’t made of stone anymore, it was made of what could only be described as black darkness, almost smokey. 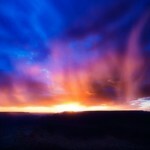 As it shattered and the pieces scattered around the sky, my heart skipped a beat and everything came into perspective. I finally worked out the imagery of this vision. The earth was my life and who I am, while the sky was the freedom I was given to live in. As for the lion. Well. That figure had always been in my life, He was the strength in the hardest times, the Answer in the unknown and the Hope in that sustained me in visionless times. And yet I had trapped the one thing that kept me going in the sky. He was trapped, like I was, on a platform. “I’m so glad you’re seeing this now.” The Lion whispered. “Because now you have to fight it.” As He spoke, the pieces of black were slowly starting to commune again. The, like liquid, seemed to gather like a puddle and form a solid again. All my adventures of the last year, all my moments of victory and failure were overshadowed by one larger thing that needed to be destroyed. This boy, now a man, had finally realised that a little bit of depression in a heart had grown and grown until it had kept out the One thing protecting – and then proceeded to start the destruction of Stephen. And that’s what the platform represented. My stance changed from a coward to a soldier and my eyes shifted from myself to what I was about to face. The pieces of rock were slowly merging together and growing into a new shape that looked looked familiar. It was the Minotaur beast. But that just fueled my desire to destroy this once and for all. Suddenly there was a blinding light and the Lion roared. I was back at the centre of the labyrinth. 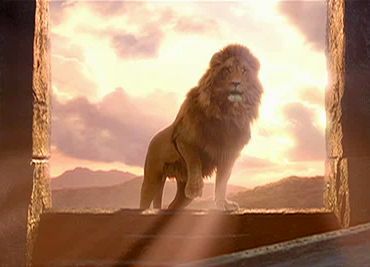 I turned with an expectation that the Lion would have vanished, but He hadn’t. He stood, true and as real as He had in the sky. “The only way I’d ever leave is if you choose to make me leave.” He said. I smiled, He roared and we faced the beast. The final fight for who I am began in that moment.